Here are some of my favorite stops during our trip. If you are ever in the Santa Barbara area, put these on the top of your list. This is one of those secret beaches that only locals know about. If you are willing to take the long and windy drive back to it, it’s worth it. This was one of my dad’s favorite surf spots, and it’s easy to see why. After spending the day at the beach, make sure you stop at the Jalama Store for the Wold Famous Jalama Burger. Life is full of compromises, and traveling with my dad and brother is no different. I could spend all day walking through vineyards and tasting rooms, but the rest of my trio felt differently. So I picked one vineyard, and Babcock Winery didn’t disappoint. Babcock Winery is run by a husband wife duo. Bryan Babcock is the adventurous winemaker, and his wife, Lisa, also the vice president of merchandising for Forever 21, travels to flea markets and estate sales, picking up pieces to design the beautiful and eclectic tasting room. The Babcock tasting room is a gallery full of Lisa’s finds. I loved being able to have a glass of wine while sorting through all of the treasures that have surfaced around this beautiful winery. Lisa uses quite a few quotes to decorate, which makes my little teacher heart oh so happy. Maybe she will come decorate my classroom for me. We only went to one vineyard, but Babcock is right next door to Melville Winery, and surrounded by many others. You could easily make a day out of visiting vineyards. After spending the day exploring State Street in downtown Santa Barbara, (where I quickly located Handlebar Coffee, H&M, Free People, and Paper Source), we ended at the pier and wrapped up a beautiful day with dinner at The Lark. I did my homework beforehand, and I knew that this was one stop we couldn’t pass up. If I have one regret in life, it’s that I didn’t take pictures of every single thing I ate and drank at The Lark. Holy moly, I have never had a better meal. We easily dropped $200 between the three of us, but even on this tiny teacher salary, I would do it all over again. The Lark serves all of their dishes family style, so we shared about 5 different plates. We ordered the crispy brussel sprouts, oysters, scallops, redfish, and a half rack of lamb ribs. I would have loved to try everything on the menu, but like I said, life is full of compromise. While everything we ate was delicious, I could spend every day at The Lark drinking beet juice mojitos and eating brussel sprouts. I’m not kidding. I have had dreams about these. My dying wish is that I will be able to taste heaven again at The Lark. Other noteworthy places to visit include Ventura, where I had several beautiful runs along the pier, ending with tacos and bloody marys at Beach House Tacos, and Kay’s Coffee Shop, the local Ventura coffee shop I fell in love with. I stopped in for coffee each morning, and got to chat with some of the nicest ladies I’ve ever met. They made me feel like a local. The coffee is great, and their nobake cookies, locally named Trucker Twinkies, are delicious. The chia seeds and granola even trick you into thinking they’re healthy. Thanks, Dad, for showing us your old stomping grounds! It’s easy to see why you fell in love with Southern California. The Warren Fellowship at the Holocaust Museum Houston: As crazy as this sounds, this might have be been my favorite week all summer. I have wanted to write something about it all summer, and I still just don’t have the words. I have been forever changed by the things I learned and people I met. Meeting Naomi Warren, a Holocaust survivor, and her family, was an incredibly powerful experience, as was hearing from so many authors, scholars, historians, and educators. I am forever indebted to everyone who made the fellowship possible. Europe: Oh, to be a world traveler. The one thing I learned was how much I still have to learn. It felt as if I could spend all year traveling Europe and I still wouldn’t have learned enough. Every city we went to, we would hear about where other people had been and what they had seen, and I quickly realized there just wasn’t enough time to see it all. We went to Rome, Tuscany, Sorrento, Capri Island, Paris, and Munich. Each stop was beautiful and absolutely breathtaking in its own unique way. Wilderness: I never expected to find so much freedom in guiding as a third year. The moment I stepped foot on trail, it was as if there was nothing else we could possibly worry about. For the first time, the trail was my comfort zone, my safety net. I knew those mountains and I knew those trails and there was nothing that we couldn’t conquer. It was beautiful and powerful and Jesus showed up in big ways just like He always does. 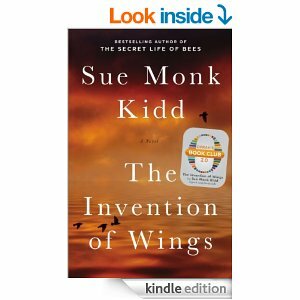 I loved The Invention of Wings, and naively didn’t realize until halfway through it that it was based on real people. Remember learning about the Grimke sisters in school? I didn’t remember, either, but their story is awesome and so woman-empowering and I am so into woman-empowering right now. I had about 8 delays and a cancelled flight on my way to Rome, so I read this one almost entirely in the airport. It was great, and I highly recommend it. I accidentally stumbled upon A Million Miles in a Thousand Years, fell in love with it, and got onto a Donald Miller kick. I don’t know why it took me so long to read his books. He has my stamp of approval. He’s Christian but he doesn’t sound Christian-y and I like that. Searching for Sunday changed the way I think about everything. It was like finally someone was using all of the words that I have had jumbled up inside of me for so long. I have fallen in love with Rachel Held Evans and wish I had sooner. She’s a badass and we can all learn from her boldness and honesty. I now follow her on all social media outlets and you should too. Why can’t all Christians be so cool? I’m currently absorbed in The Book Thief, and have made it halfway through its 520 pages in two days. I don’t know if I’m supposed to recommend a book before I finish it, but I’m going to. Read it. Papertowns: I didn’t like it, as predicted. I still want to finish, I’m about a third of the way through, but I can’t promise I’ll make it to the end. The Book Thief has priority right now. I read the first 15 pages of Americanah and couldn’t get into it. I wanted to, I really did. Hopefully I will pick it back up again. The First Days of School: I started reading this to get ready for my first year teaching, and it’s been crazy helpful. Not the most captivating, obviously, but I’m thankful for a little guidance right now. I’ll share some more info on how I’m preparing for my first year on my teaching blog. That’s it, folks. Nothing super captivating or beautifully written, just a needed catch up post so that we can get to pretty words later. Stay posted during this time of transition as I start my first year teaching. Ms. Green’s first day of school is August 3rd…eeek!! This summer I came home from Wilderness a week earlier than I had planned. The excitement and anxiety of beginning a new career was catching up with me, and I knew I needed to spend some time at home before life begins at full speed. 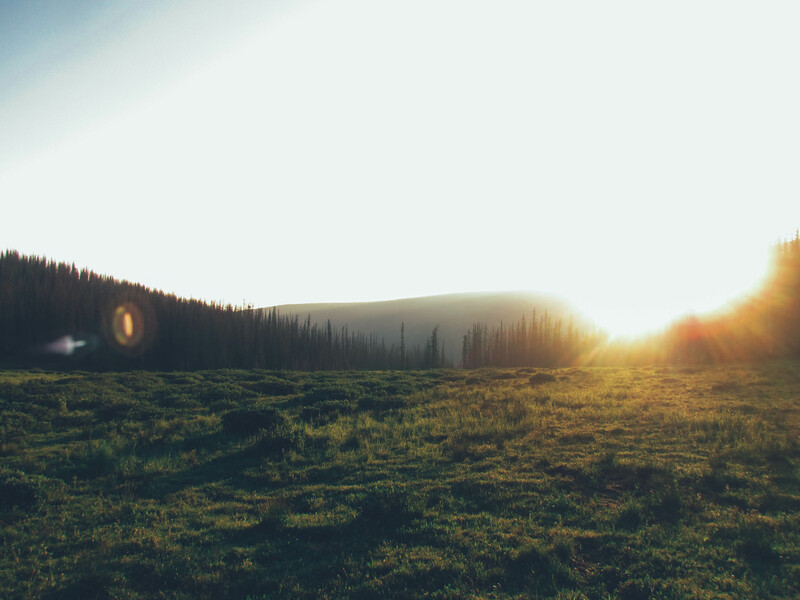 In honor of my sweet Wilderness Ranch, the place that has formed so much of who I am over the past three years, here’s a throwback to last summer, my last piece of writing published before I made the switch to the new blog. To Wilderness Ranch, and all of the beautiful friends who have loved me, challenged me, and grown me, I still mean every word and then some. A week from today, I will be headed back to Austin, hurdling away from the slow-paced mountain life that I have come to know and love so much, and speeding full throttle towards the high paced, unbearably busy life of a college student/student teacher/young life leader. So today, I spent the day the best way possible. By myself. I laid a blanket out in the park, grabbed a latte and some pizza, and spent the entire day reading The Chronicles of Narnia. Because at a moment sometime very soon, these sweet moments of rest will be long gone, left behind with the mountains. And I needed one last taste. I can’t begin to describe the mix of emotions bubbling up inside of me. This summer has been one of redemption and growth and beauty. Fears conquered. Challenges overcome. New dreams awakened. Drawn nearer and nearer to the feet of Jesus. There’s a lump welling up in my throat at the realization that this is the close of my time at Wilderness Ranch. Wilderness has been a home for me. A place that has seen who I am and challenged me to become more. A place where I have met and grown close to some of my closest friends, and a place where I have grown even closer to friends who have been by my side since before double digits. A place full of laughter, grace, and unyielding faith. A place where I have been fully known and fully loved, and a place that has left me utterly and completely changed. I spent my last week on trail trying to cherish every moment. Not always successful, but attempted. The last camp fire, the last peak day, the last serving of chicken dinner. Each time not fully being able to process what it meant. And now here I sit, trying to struggle through it again. I don’t know if this is the end of my time at Wilderness; I hope that it’s not. But senior year quickly approaches, and graduation and a job follow soon after, and friends are getting married, and people are moving, and life is changing. In the Chronicles of Narnia, C.S. Lewis says that Aslan is “always on the move.” And so it is with life, and with Jesus. This life is never static, never stationary. Always moving and changing and winding down an unknown path. Jesus has new plans and new adventures and new fears to overcome. And right now, following that path, His path, means jumping in a car and heading back to Austin. To Wilderness Ranch and all of those who have loved and lived to make it what it is: thank you. Thank you for loving me and believing in me and forcing me to run faster than I want to. Thank you for discipling me and growing me and never letting me give up. Thank you for trusting me in situations in which I would never trust myself. Thank you for putting me in a places where I could be used by Jesus. Thank you for giving me a stage to meet and love and be transformed by high school girls. Thank you for saying yes, for taking a risk on the insecure, unsure, broken girl who naively asked to be a guide two years ago. You have been at my back, pushing me, yelling at me, praying for me, and encouraging me, both literally and figuratively, for two years. You have transformed a scared little girl into a woman of the Lord and a minister of the gospel. As I walk away from Wilderness and into “real life,” (although I am convinced that there will never be any life more real than what’s lived on a mountain), I walk away as a woman of confidence and courage, ready to live life to the fullest. Because life is not lived on the peak, but rather, in the valleys. And as I tearfully descend back into the lower regions, I am better because of it. Because I know what is above, and my eyes will forever see through new lenses. Because I know what it is like to be afraid, and to be brave, and to live in true community, and lessons learned here are not easily forgotten. So thank you. Thank you for making me a better person, a person truer to the woman Christ designed me to be. Thank you for being the hands and feet of Jesus, molding me into who I am. I don’t know all that lies ahead, but I know that as this season of life comes to a close, a new one is opening, and I can walk into it with the confidence of one who has been face to face with the glory and grace of her Creator. For more words on Wilderness, go here. I cannot believe how quickly summer has come! Crazy. If you’ve been following along since the beginning, then you know that my little baby of a blog has only been around since November. I am amazed at what God has done since then, and I am so thankful for all of the readers that have joined the adventure. Who knew that anyone other than my mom would ever read this…?! I’ve never kept up with a blog over the summer, and my schedule will be so different, so I just wanted to provide a heads up for what is to come. The summer ahead of me is full of travel and adventure and hopefully some really great stories. I leave for Houston right after graduation, where I will be spending a week at the Holocaust Museum as part of the Warren Fellowship. I will be spending the week with Holocaust survivors and learning the best teaching practices when approaching such a delicate and powerful subject with students. My hope is that I will be blogging over at my teaching blog during this time. (side note: I call this “my teaching blog” because the actual name of it is mseringreen.wordpress.com, and I’m bitter that there is an taken & inactive msgreen.com that I can’t use. Ugh. The injustice of life.) Teachers, follow along there if you’re interested! June 1st I am jumping on a plane with just a backpack and heading to ROME with one of my best friends! AHHH. I am so pumped for this. We will be staying in hostels, exploring Italy and venturing up to Paris and Munich. Can. Not. Freaking. Wait. !!! Little is planned, but much will happen. June 18th I jump back on a plane and fly straight from Munich, Germany to the place that my heart will forever call home, Wilderness Ranch. I’ll be back in the mountains, guiding high schoolers on weeklong backpacking trips through the San Juan mountains outside of Creede, Colorado. I have more things to write about here than I do anywhere else, but internet access and time to sit and write is limited. My hope is that I will be able to write a lot, but posting will probably be sporadic. I’ll be at Wilderness for as long as I possibly can, soaking up every moment, before I head home and start setting up my classroom and moving into my apartment on August 1st! So all of this to say, who really knows what will end up on this blog for the next three months? I’ll post as much as I can, but it’s going to be pretty unpredictable. If you want to follow along despite the lack of scheduled posts, Instagram is going to be your best bet. I hope that your summer is full of popsicles and gelato and snocones and sand volleyball and scandalous summer fling kisses and adventure and tan bodies and freckled faces. I have the highest hopes for mine. Talk to you soon. Hey campers! I’m talking to you, yes you! You signed up to go on a Wilderness Ranch trip, huh? Well I am unbelievably excited for you and the adventure that lies ahead. Afterwards, you were terrified and wondering why that girl looked so sweaty and sad. And the rumors began…”do we have to pass running tests! ?” Panic ensued. Let me explain: the running tests are for guides, so that we can be the best and most capable guides for you. The running tests are not for campers, although they are so dang fun I wish everyone had the opportunity to run them. 1. Your life will be changed. Like really, truly changed. Seeing the world from 14,000 feet does something to people. 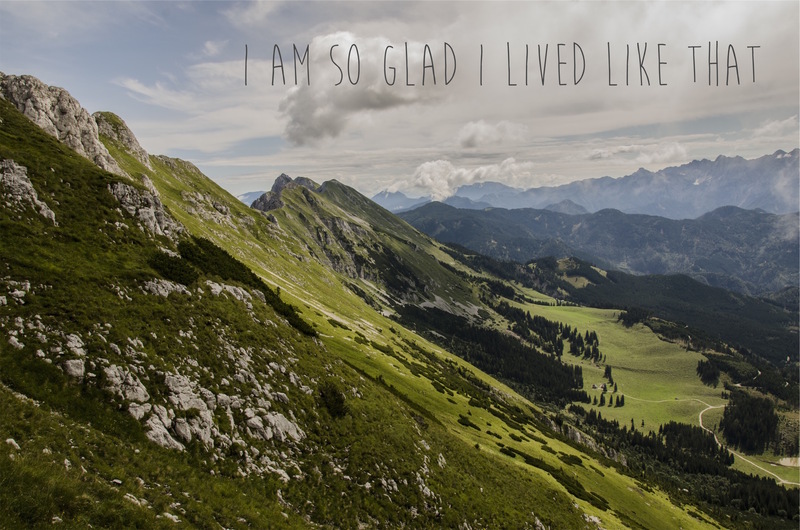 You cannot look out upon the world from that height without feeling something new and incredible and life altering. 3. It will be really worth it. At the end of the week, you will celebrate so big, your heart might just burst right out of your chest because you just spent a week climbing a freaking mountain. Every drop of sweat and every tear and every swear word your guide had to endure will be worth it. 4. Only 1% of the world’s population ever gets to do this. You are doing something big and incredible and awe-inspiring and brave. These are the stories you will tell your kids and your grandkids about. the San Juan mountains are not bear country. In 14 trip s, I have never seen a bear. 6. Your guides are BAs. Honestly. These people are incredible (I can say this humbly now as I’m no longer a full time guide) and have gone through so much training and have sacrificed so much to do what they do. They are in love with the mountains and they are absolutely head over heels about the idea of experiencing this week alongside you. 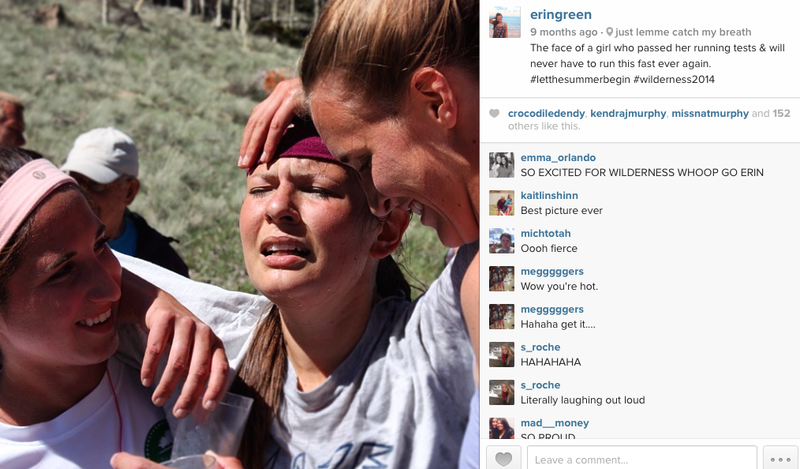 They love Wilderness Ranch so much that they have dedicated two summers to do this without any pay. Listen to them and learn from them. 7. You have been prayed for. You are being prayed for right now. Everything that happens at Wilderness is intentional and meaningful. Your leaders and your area directors and your friends have been praying for months for you to sign up for this trip. People prayed that you would get here, and every day you are on trail, people are praying for you. You are never alone in this. 8. Every trip is different. Forget what you’ve heard and be excited for a trip that is unlike what any of your friends have ever experienced. Every trip has different guides, goes on different trails, and experiences different things. No two trips are ever the same. Walk into this week with an open mind and a heart ready for adventure. 9. You are already brave. Signing up for this trip is big and scary, and you did it. You are already brave, and you will be able to face anything that comes along during your week on trail. 10. Jesus has some big things planned for you. I don’t know where you’re coming from, I don’t know if you’ve been following Jesus for years or if you only come to Young Life because your friends do. Maybe you’re Jewish. We’re cool with all of those possibilities, honestly. Either way, Jesus has known for all of eternity that you were going to go on this trip, and He has been anxiously awaiting everything He is going to reveal to you. You will be changed, and it is not because of the mountains or because of your guides, it’s because of Jesus. He’s about to blow your mind. Wilderness Ranch is the best thing you will ever experience. It has changed me forever and I hope that it will do the same for you. Did you like hearing about Wilderness Ranch? As I read these words, I am reminded of the life that I fell in love with. The life lived on trail, in the beauty and the wholeness and the danger of being in the wilderness. The life that a whole new group of guides is about to experience. Wednesday afternoon, Wilderness Ranch officially announced its 2015-2016 guide class. Fifteen new guides, eager and excited and equally terrified. These words are for you, new guide class. The words that were spoken to me, and the words that I wish had been spoken to me. You are about to embark on the greatest journey of your life. You are about to meet some of the greatest people you will ever know, a group of friends who will forever change you. Two summers from now, you will not be the same. Wilderness will grow you, challenge you, push you, and better you. You will be different, somehow older and yet newer all at the same time. Be eager to learn, eager to train, eager to experience everything around you. Let yourself be excited and let yourself be scared and let yourself be weak and let yourself be brave. Let go of you and cling to the one who has called you. Let yourself feel and experience and cry and shout with joy. Know that you have been chosen for this ministry. You have been prayed over and chosen unanimously by a group of people led entirely by the Holy Spirit. Do not for one second believe that you were chosen as a mistake. You will pass the running tests. It might seem impossible now, but let me tell you, if this girl can pass those tests, so can you. Train hard, and wake up every morning with the decision to believe truth. You are going to change lives. You are going to meet high schoolers longing for what you have. (No, they’re not longing to be guides, most high schoolers don’t want to be on trail at all.) They’re longing for intimacy with God, with their Creator. They are going to experience that with you and through you. Your Father is about to use you in unfathomable ways. Words that you never knew you had are going to come out of your mouth while holding a mountain dew, standing on the top of a 13,800 peak, and for one brief, fleeting moment, a seventeen year old kid is going to get his first glimpse of grace. You are going to hear a great club talk from Izzy Ismert. And then you will hear it again. And again. And again. By the end of two summers, you will accidentally quote our camp director’s words as scripture. You are not doing this on your own. You were called by God to do this, and He is working in and through and for you, every single moment you spend on trail. Do not rely on your own strength or wisdom, rely on the one who gives all strength and wisdom. Your two summers will go by faster than you can imagine. Before you know it, you will be done. Cherish every moment of it. Cherish the blisters and the collapse at the finish line when you finally pass the two mile. Cherish the laughter and the music in the dorm lobby. Cherish the conversations with campers and the extra time spent getting your roll spice just right. Cherish the day you knock the double boil off of your whisper light and spill boiling water all over your legs, because let me promise you, you will. Cherish the 3am mornings and the brief moments you will spend at the peak, the moments when you are on top of the world. Cherish each time you can convince a camper they are literally one mile from the sun. Cherish the aching shoulders, and the tears that come with life stories, and the aches of feeling someone else’s heartbreak. Cherish the good and cherish the bad and cherish the incredibly hard. Cherish it all, and treasure every moment as exactly what it is- a precious and a powerful gift from above. Life is never going to be the same. As Christmas break comes to a close, my last semester of college quickly (and quite unbelievably) approaches. The past three and a half years have been so good to me and so good for me. I have learned so much and have been pushed to my limits in more ways than I ever could have imagined. I have learned and loved and lost, celebrated and rejoiced and succeeded and failed. I have found who I am on my own, apart from my family, apart from Bowie High School. I am at a crossroads of nostalgia and uncertainty- the roads behind me full of sweet memories and cherished moments that seem to close to let go of, and the roads ahead full of the terrifying unknown- one giant, looming question mark, an ever-growing knot in my stomach. But it’s not time to look behind me, and it’s not yet time to look that far ahead. There is one final semester in front of us, one last hoorah before we walk our trembling legs and sweaty palms across that graduation stage. Before we make that walk, I want to look ahead at the promises and possibility of the next four months. I want to live in the present, in the fragile promise that lies between January and May. I want to take this last semester to hold, cherish, and celebrate every moment. I want to spend less time cleaning and more time playing. I want to let petty frustrations fall to the ground for the sake of conversation and community. I want to look at the dishes and crusted pans piling up in the kitchen sink, and instead of internally raging about which of the eleven of my roommates is to blame, sit down on the couch with a cup of coffee and join the conversation. I want to invest in my Young Life girls. I want to invite them over for sleepovers and I want to hear way too many stories about the high school boys who have stolen and broken their hearts. I want to laugh and cry and hold them without letting go. I want to dance more and worry less. I want to spend too much money at a fancy restaurant with no justification other than community and reckless adventure. I want to look friends in the eyes and tell them how much I love them, and how proud I am of them. I want to take risks and go on adventures, skip class to make borderline irresponsible decisions. I want to cherish each and every moment, treasure these last days when I can still use the excuse of being a college kid. I want to spend every second that I can at Wilderness Ranch, playing in the mountains and proclaiming the gospel to high schoolers, regardless of how financially irresponsible it might be. I want to let my roommates come into my room past 9:30pm, and let them snuggle in my bed, regardless of what time I’m waking up to teach. I want to live in a constant state of freedom and adventure, saying yes at every opportunity. I want to do the things that make me feel alive. I want to grab ahold of this each moment of this semester like a 50 pound set of elk antlers, because that’s the choice of more adventure. I’ve always been driven- a go-getter, a self-starter, a leader. I start things and I do things and I put my whole heart into things and I carry things out to completion. I have always done what I am good at, and I have done it incredibly well. But I have also always had an incredible fear of failure. Like, absurd. I’m good at a lot of things, and being bad at things terrifies me. So I stick with what I’m good at, and run from what I’m bad at. So for as long as I can remember, I avoided risks, and ran from new things and anything I was bad at (not actual running, metaphorical running. Real running is hard). But God has been doing the funniest things in my life the past couple of years. He’s been calling me to things that I’m bad at. And the crazier thing? I’ve actually listed to Him and followed those callings. 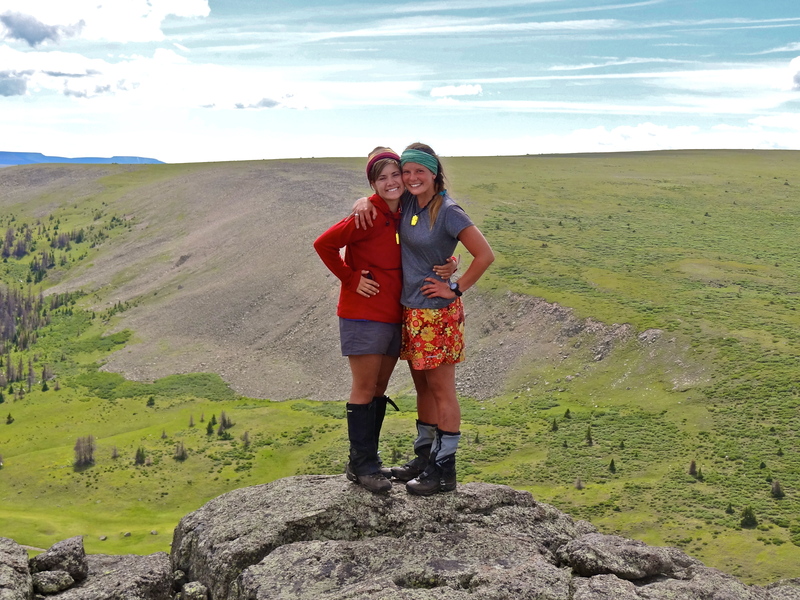 I was never the girl that everyone (well, really anyone) pegged as a Wilderness guide. My parents didn’t even think I was cut out for it. Sure, I had always loved the people, the ministry, and my one week on trail, but it was hard. And me? I had quit every sport I had ever started (with the exception of seventh grade B team volleyball, when they did not invite me to play again the next year), I didn’t enjoy large amounts of physical activity, and I probably couldn’t run a mile if my life depended on it. So how in the world would I be a Wilderness guide? But that summer, I had applied for summer positions all over the place. Pine Cove, summer staff, internships, full time nanny jobs- everything. But I didn’t feel peace about any of them. I didn’t feel peace about anything except applying to guide. There was a small voice that kept whispering, “do this. do this.” And so I did. And I turned down every other offer to wait and hear if I was accepted to guide. Something that I knew I was not naturally good at. And guess what? They were crazy. In February of 2013, Lisa Ismert called to tell me that I was invited to be a guide for the next two summers at Wilderness Ranch. I cried. Half of my tears from joy, half from the realization that I was about to have to do something really, really hard. There is a beauty in failure, and in embracing our flaws and struggles. There is a beauty and a realness to throwing our hands up in the air, and shouting “I’m bad at this!” and then, continuing to do it. There is a beauty in total surrender, in letting Christ perfect His power through our weakness. I’ve learned to have courage, and to be brave, and humble, and to trust in Jesus and in His goodness. When I can’t run another step, He comes up behind me and pushes. When I don’t have the words to say, He speaks them for me. When I am weak, He is strong. And so I will continue to do the things that I am most terrible at, because the most beautiful triumphs and successes are those which can in no way be attributed to ourselves. My first summer of guiding at Wilderness, my best friend Sarah, another guide Michael, and I took out a group of girls and boys from League City, Texas. Our second day on trail, we were stuck in a mess of jungle. There’s a little creek called Willow Creek, and we had been given instructions to go find this creek, and then follow it all the way down to where we needed to go. Easy Peasey. When we first began hiking that day, there was a road to our North- a big, fat, 4 wheel drive road, and forest straight ahead. Naturally, in the spirit of adventure, we led the kids straight into the forest. The road would take us a couple miles out of the way, and we had been reassured that once we hit that creek, it would be easy. So just a little bit through the forest, to the creek- not a problem. About a mile in, we were confused. We had hit Willow Creek, and we were following it, but somehow we had ended up hiking on such steep terrain, that we weren’t sure how to move forwards. The creek was about 30 feet below us, surrounded by (who would have guessed) willows. There was no easy path near the creek, and we didn’t want to risk getting cliffed out, either, so we stayed up high, where the plants were smaller and our foresight greater, but it was impossibly steep. But we kept trekking, because, well, when you’re hiking and your only human contact is picking you up from a certain point at a certain time on a certain day, you really have no choice but to just keep moving. So we did. And it got steeper and steeper, our single file line stumbling and sliding and crying behind me. With each step, our high school friends become more and more hopeless. Three hours had gone by, then four, five, six….we had crossed boulder fields and cliffs and yet felt like we were no closer to where we were going. It was far past lunchtime, but there wasn’t a good spot to stop- no flat ground anywhere. But we needed lunch. The campers were starving and they weren’t used to hiking at all, let alone through this jungle. So we dropped our packs and went down near the creek, where the land was semi-flatish, and we cleared a place within all the ferns and sat down for my least favorite meal of all, peanut butter and jelly on tortillas. As the kids sat down to eat, Sarah and I pulled over to the side, took out our compass and maps, and confirmed, yet again, that we were exactly where we were supposed to be. In the middle of this mess- exactly where we were supposed to be. Sarah went back to rejoin the group, and I ran ahead half a mile or so to look for a trail. There was a chance that there was a trail, and being so high up, we had just missed it. I ran and ran, but no trail. I sat down on a boulder and prayed. Jesus, I hate this. Please help us. I know this is geographically where we are supposed to be, we have followed all of the information we were given, but there isn’t a place to put our feet. We are falling and sliding. Please give us a trail. Get us out of here. Oh Jesus, we are so tired. Just let this day end. I spent a few more minutes by myself before running back to the group. Falling apart by yourself is always much better than falling apart in front of 12 high schoolers. On my way back, it hit me- this sure is a lot like life with Jesus. There’s a false prosperity gospel floating around these days. The world has always known false gospels, but this one is especially prevalent right now. It says, “accept Jesus and your life will be amazing. You will be successful and everything will be better and easier and you will also probably be rich.” Hmmm….confused about what Scripture that’s coming from? Yeah, me too. There are days, weeks, months, seasons, when all I can think is “this is so hard.” I know that I’m traveling in the right direction, I know that I’m following God’s will, so why is this so damn hard? At the end of our day, we hiked a total of maybe 4 miles. 4 miles in 8 or 10 hours. The pace was slow, and painful, and treacherous. We knew we were going in the right direction, we knew we were exactly where we were supposed to be, and yet it was hard. Painfully hard. At the end of the day, we came up over a ridge and ended up in a beautiful clearing, right next to- you guessed it, that big, fat, four wheel drive road. We could have taken the road all along. But that day, we learned a couple important things. Following God’s will means going into the messes that he calls us to. Down into the creek, up on the side of a mountain where we could barely get our footing- into the hard places. He calls us into messes and into hard times because that is when we truly learn to rely on Him, and trust Him, and turn to Him. Epilogue: a hailstorm rolled in right as we were setting up our tents and trying to get dinner started. Sarah and Michael and I half laughed and half cried, together in agreement that no matter where life takes us, we will always choose adventure, confident that Jesus walks every treacherous step right alongside us. I have two big fears. One of them is heights. (I know, super inconvenient for someone who spends all summer climbing mountains). I hate being at the top of tall things, I stay far away from edges, and I hate rock climbing. Rock climbing is the worst- it absolutely terrifies me. It’s nothing that I would ever choose to do. In fact, there are lots of things that I would rather do- run through I-35 Friday at 5pm, give birth to twins, eat a mouthful of cinnamon, sock wrestle a tiger…kidding. Kind of. I just really hate it. As a backpacking guide at Wilderness Ranch, we must be proficient in rock climbing. I have to know how to set up a belay, tie knots strong enough to hold a semi truck, and stay holding onto the end of that rope, belaying for three hours, as kids climb up a terrifyingly tall cliff. And worst of all, you guessed it- I have to know how to climb, also. I dread it. With a lot of scary things, it’s the moment before that’s the most nerve-racking. Cliff jumping- the moment right before you launch yourself into the air. Roller coasters- it’s the moment after they lock those bars in place right in front of you, just before that car goes from 0 to 120 mph. My stomach is in knots just thinking about it. With a lot of things, it’s the anticipation. Not with rock climbing. Starting is fine. Easy, really. The hard part is when you get half way up, and you realize you’re stuck. You don’t know where to go. You’re dangling from a terrifying height, and you can’t climb back down. During every climb, I get to a place where I don’t know how to go up. I’m harnessed into the belay system, I started climbing, but now I’m face to face with the actual rock, my muscles are shaking, I don’t know where to put my foot, and I panic. I just sit (stand? hang?) there, face to face with the rock, unable to move. Frozen in fear. I cling to the rock, shaking, because I’m not yet convinced that the rope is going to hold me when I let go. I don’t trust the rope or my belayer enough to climb up. I don’t trust my own muscles enough to reach for that next ledge. And so I stay there, clinging to the rock, crying. Sobbing. I just want to go back down. But there’s no going down. No one is letting the rope back down- I couldn’t get to the bottom if I wanted to. The only place to go is up. No matter how long it takes me to come to that realization, it’s still the only option. I have to keep moving. I have to trust that rope, to let go of that rock with one hand and reach for something higher. I calm down. I reach my fingers up, grasping to loose rock, finding a grip, and full of terror, I reach my foot up, pressing my entire weight into that tiny foothold. Rock fragments tumble down beneath me. My feet fall. I lose my grip, and my white knuckled fingers spin out of reach from the rock. I lose control. But I don’t fall more than a couple inches. I never do. I don’t plummet to my death like I’m always convinced I will- I remain there, spinning slightly, but still on that rope, still right next to that cliff. And when I stop spinning, when my hands and feet can grasp onto that cliff again, my option is still the same. Up. Stepping out and starting a blog, sharing my writing with the world, feels a lot like that. I’m clinging to the side of a cliff, knowing that the only place to go is up. Knowing that I have to take that next step, I have to take a risk, I have to trust that the rope will hold. Jesus has called me here, called me to share my words, share my story, and ultimately, share HIS gospel. And it’s terrifying. Rejection, embarrassment, risk of plummeting to my death- all of the fears swirling around through my head, yelling at me to take a step back. But it is He who has called me here, and He is the one standing at the end of that rope, calling me up, calling me to take that next step, calling me to trust. I can only cling to comfort and safety and control for so long. Because there’s no going back down. Jesus has made up His mind, has called me to something greater, and I’m ready to trust. Ready to see if that rope he has will hold. And I believe that it will. Every. Single. Time. So this is my risk. This is my stepping out. I believe that Jesus will hold me, sustain me, and call me higher. I might slip. I might lose my footing. But the rope will hold. Jesus will hold. That’s what we’re doing here- trusting Jesus, climbing up, racing through the fields of further up and further in. There’s more to see than what’s in front of us, there’s more to Jesus than what we know, there’s more to ourselves than we’re willing to believe. I want to chase that, the land I have been looking for all my life. Further up and further in. 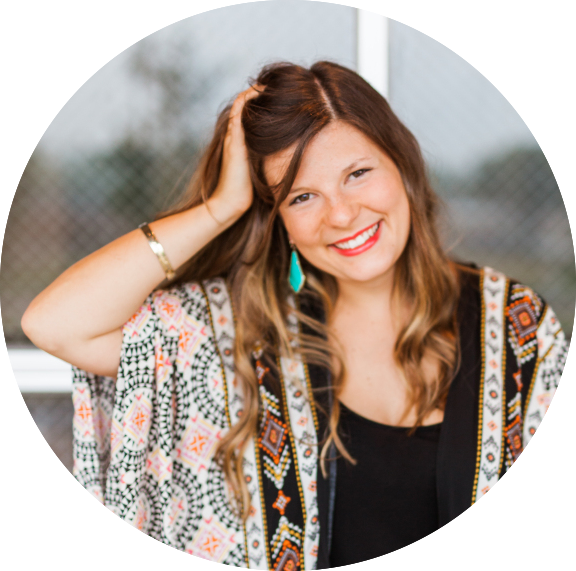 My hope and prayer for this blog is that you would encounter Jesus in a new way. That these words would not be my own, but they would be His, and His glory would be proclaimed. I pray that you would see Him in your own lives the way that I have seen Him in mine. Thank you for joining me on this journey. I don’t know what’s ahead, what’s at the top of that ledge, but Jesus does. Follow Him with me- the adventure begins today. Further up and further in.